The Aliens tells the story of two young men who frequent a coffee shop in Vermont and the young employee they decide to take under their wing. Jasper and KJ are disillusioned New England thirty-somethings who regularly meet behind the coffee shop to discuss poetry and music. Take a look at the latest installment of our Smile Politely series, The Process, featuring local musician, Chawla. Check out the animatic for this web comedy created by Andrew Ambrose Lee and Jessica Schlipf! Stay tuned for more updates; this show will be a good one. Big thanks to the Urbana Business Association and Mayor Diane Marlin for this opportunity! PPP was awarded a business grant from city of Urbana. We have some big things in store! Come to our auditions on September 23rd any time from 12-3PM at the Urbana Free Library! 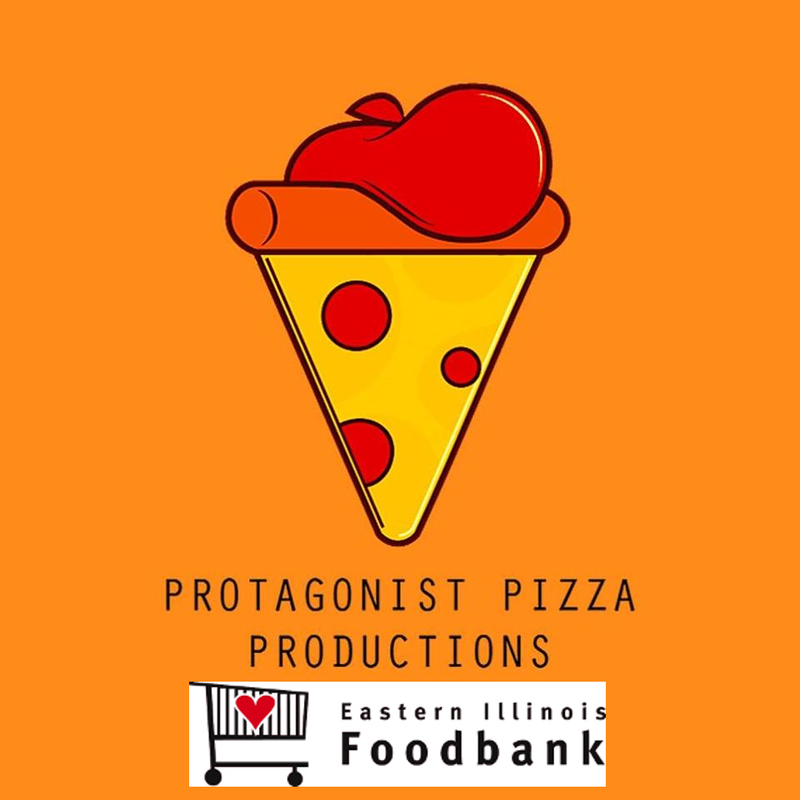 If you bring a non-perishable food item, you will be given a priority audition slot, so help out some people while helping yourself! For more info, click on the picture to the left. Protagonist Pizza Productions has an office space! 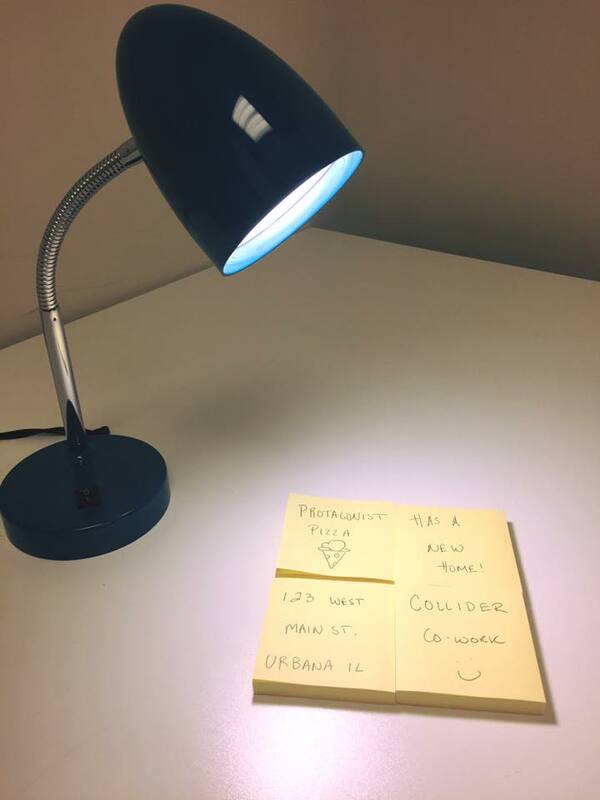 Come on down to Collider Co-Work, 123 W Main St, Urbana, IL, and you might get to see some of the magic happen! Check out our short film, a corner for august!